From the inexpensive (and car-friendly) mainland district of Mestre, Venice's historic center is only 10 to 12 minutes away by commuter train. 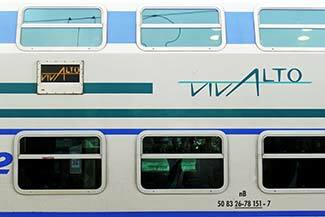 ABOVE: A car speeds alongside a regional commuter train on the causeway between Mestre and Venice. 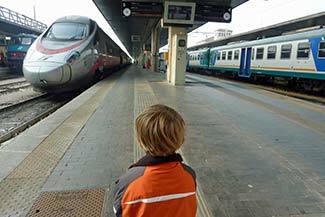 Go to the Venezia Mestre railroad station, which is on the edge of Mestre's city center, along the border with Marghera. 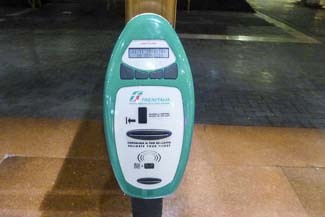 The station is directly across the street from three hotels: the Best Western Hotel Bologna (see illustrated review), the Plaza, and the Tritone. All three hotels have reasonable rates, offer parking on the premises or next door, and are good choices if you want to visit Venice from Mestre. Other hotels are nearby; see our Mestre Hotels page for more details. 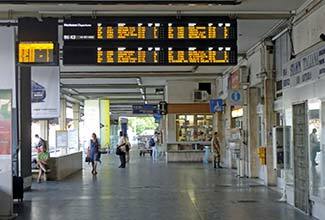 When youre in the station, look for the Trenitalia ticket machines, which offer a quick way to buy inexpensive second-class train tickets to Venice and other nearby towns. 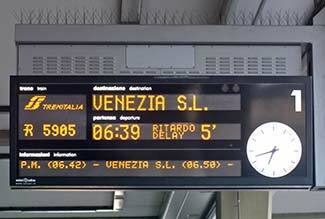 Check the electronic departures board on platform 1 to see when the next train leaves for Venice. (You shouldn't have to wait more than a few minutes.) Your destination is "Venezia S.L.," or "Venezia Santa Lucia." An electronic signboard above each platform shows the next train, its scheduled departure time, and whether it's running on time. 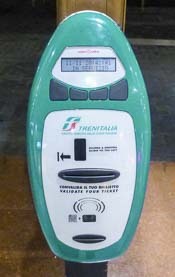 Before boarding the train, validate your ticket in one of the machines near the platforms. This is important! 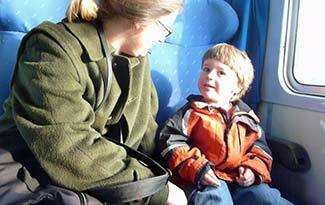 If your ticket isn't validated, the train conductor can fine you on the spot. Some trains have traditional single-level cars, while others are modern double-deck commuter trains. 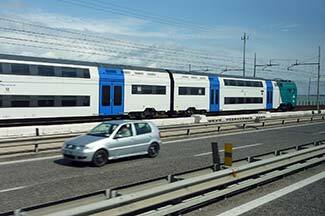 All cars on regionale trains are second-class, but other trains may have first-class carriages, so make sure that you board a second-class car if you're traveling with a second-class ticket. 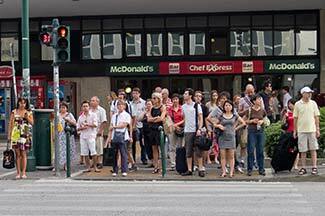 Settle back and wait for the train to leave. Keep your ticket handy, in case the conductor wants to see it. 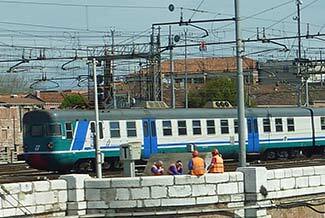 The train ride from Venezia Mestre to Venezia Santa Lucia takes only 10 to 12 minutes. 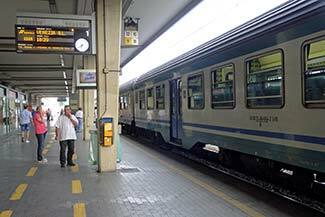 Later, when you return to Mestre from Venice's Santa Lucia Station, remember to validate your ticket!